For you active internet users who often use email in the activity on the internet but sometimes get problem with spam mail which sometimes getting into the inbox of your email, maybe the email service from Pobox can be a solution. Pobox.com is a paid email provider which can become one of the solutions to be free of spam. 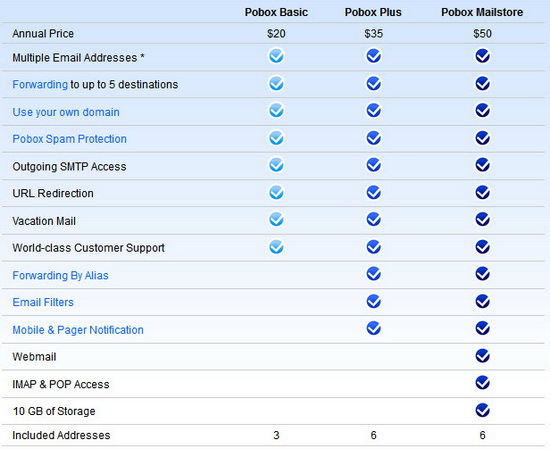 Pobox have 3 package of choice, which is Pobox Basic ($20/year), Pobox Plus ($35/year), dan Pobox Mailstore ($50/year). By paying service of Pobox so you will get email package with some good and strong spam protection. Pobox will automatically reduce the number of spam which gets into your inbox by giving notification first. Pobox users can also set the security parameters which include aliasing, filter, and notification. Email Forwarding : Find out what email forwarding is, why you’d want to use it, how to forward to multiple places, and getting a Pobox Inbox. Spam Protection : Check out how we filter, make trusted senders easy for you, and ensure you never lose a legitimate message. Personal Domains : Learn why your own domain is a true lifetime address, and why Pobox is the best option for your mail. Use your domain to filter spam, and share it with others. 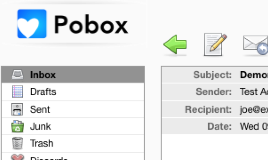 Email Filters, Autoreplies and Mobile and Pager Notification : Discover the advanced tools available for Pobox Plus and Mailstore accounts.